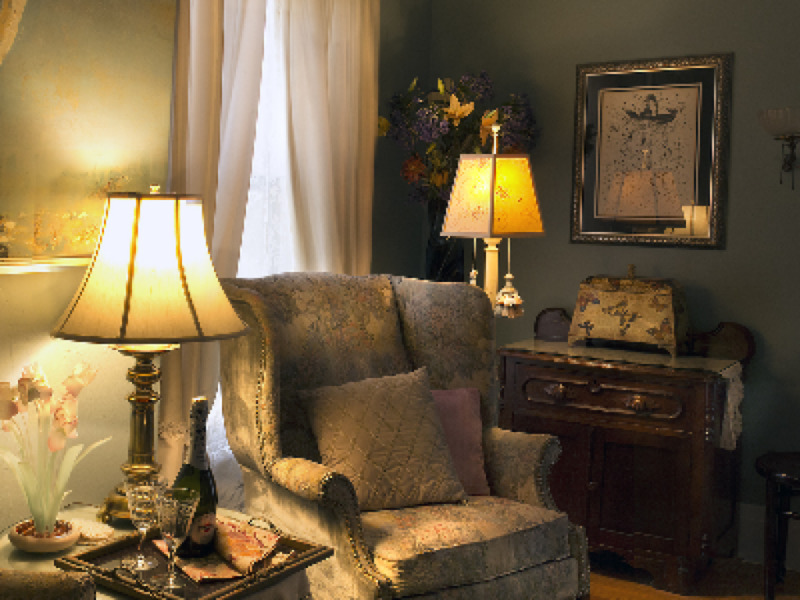 The Suite is perfect for family or friends traveling together. 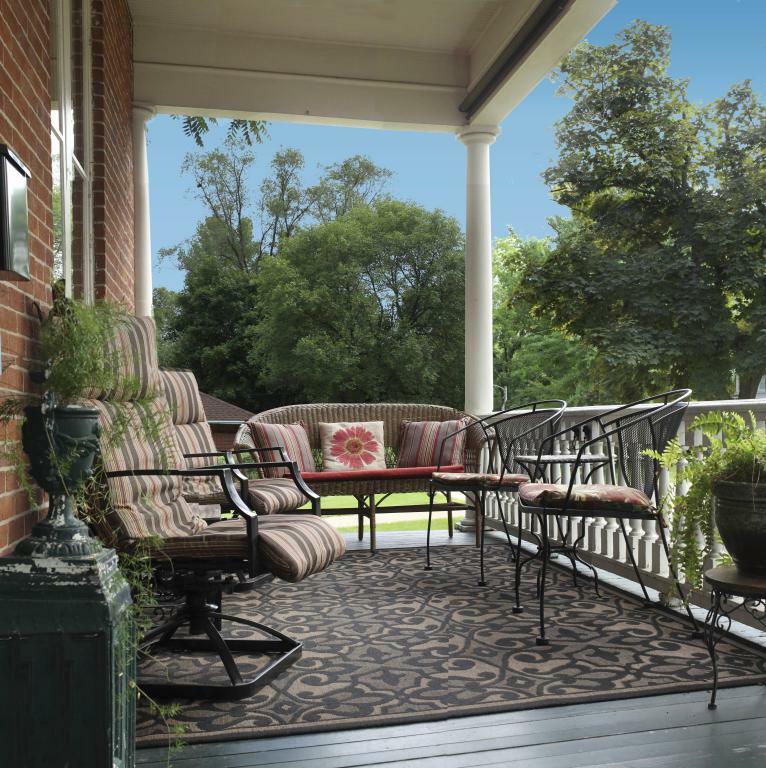 The rooms have views of the historic Washburne House. 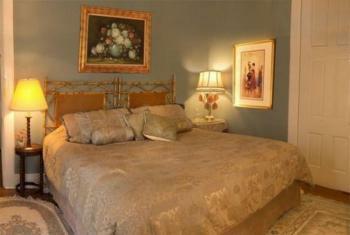 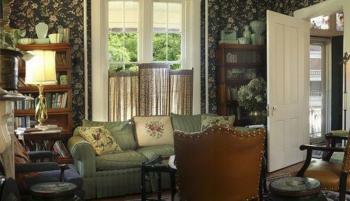 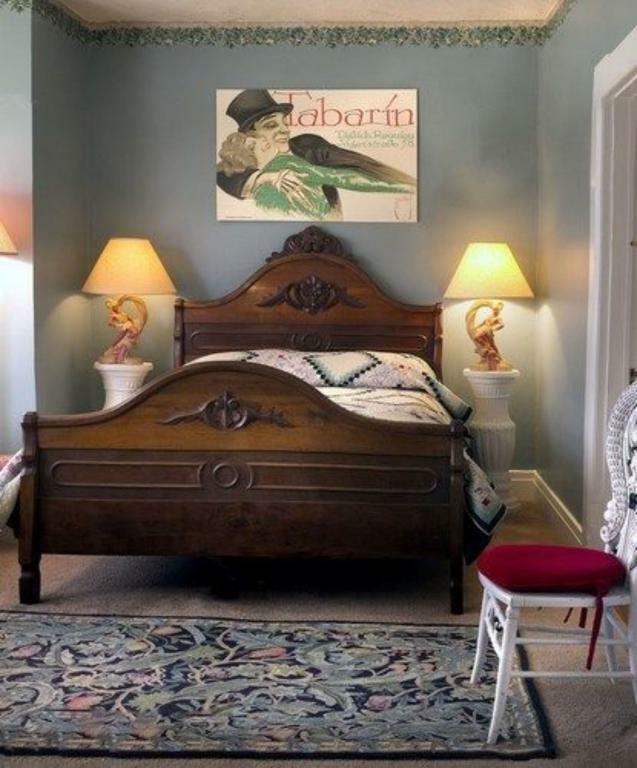 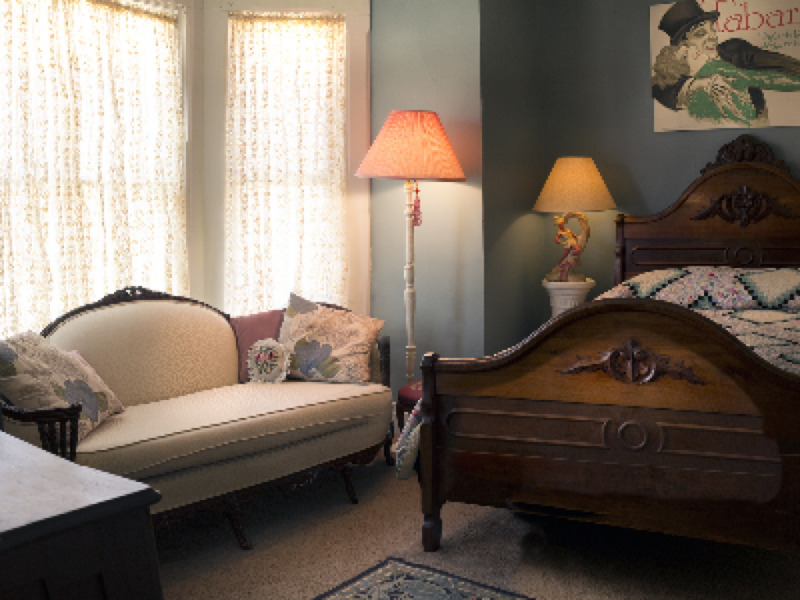 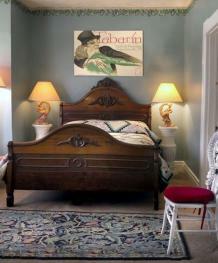 The larger room has a King bed, 2 wingback chairs and a walnut dresser. 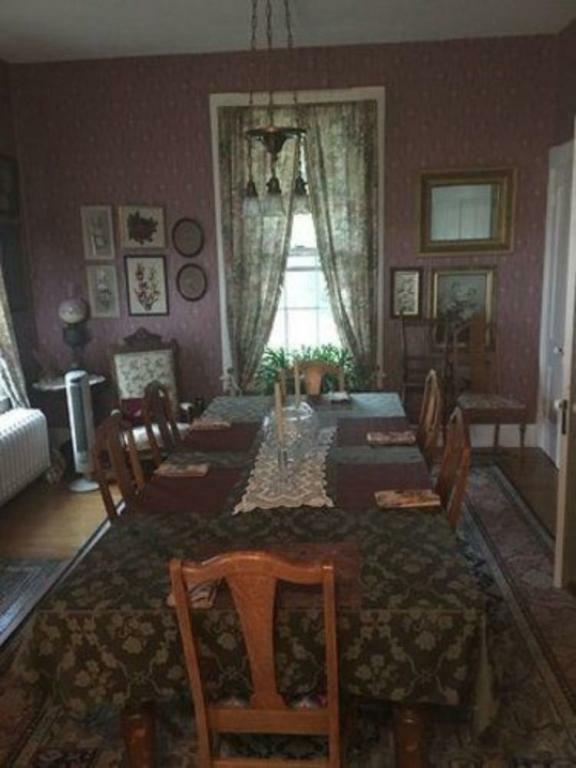 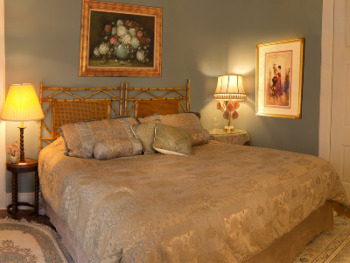 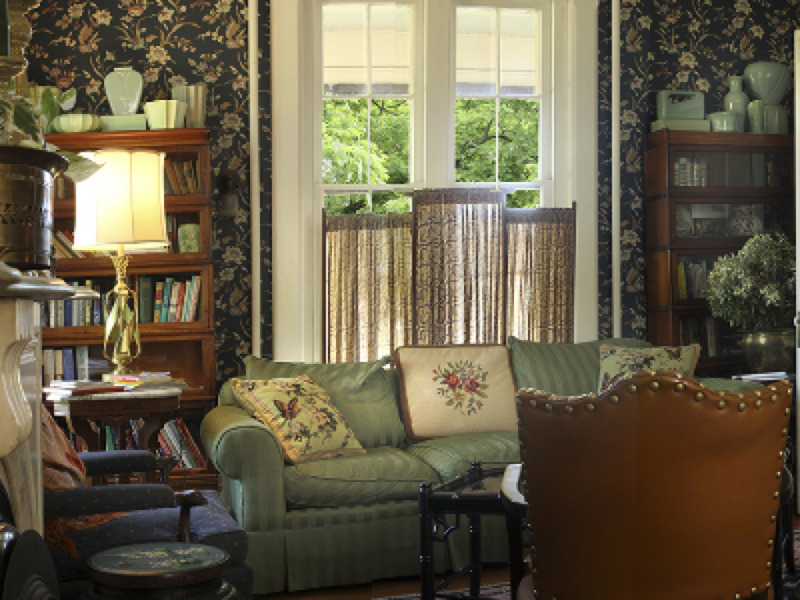 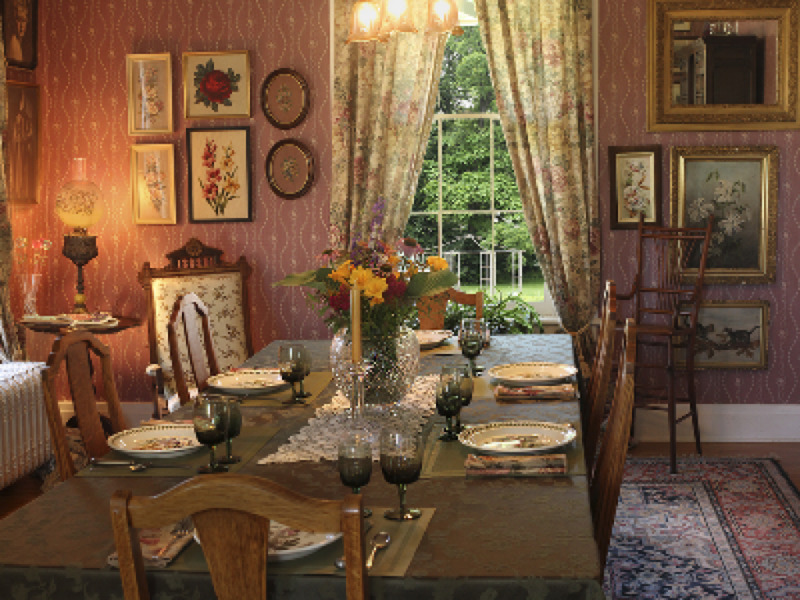 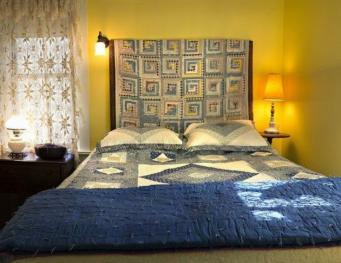 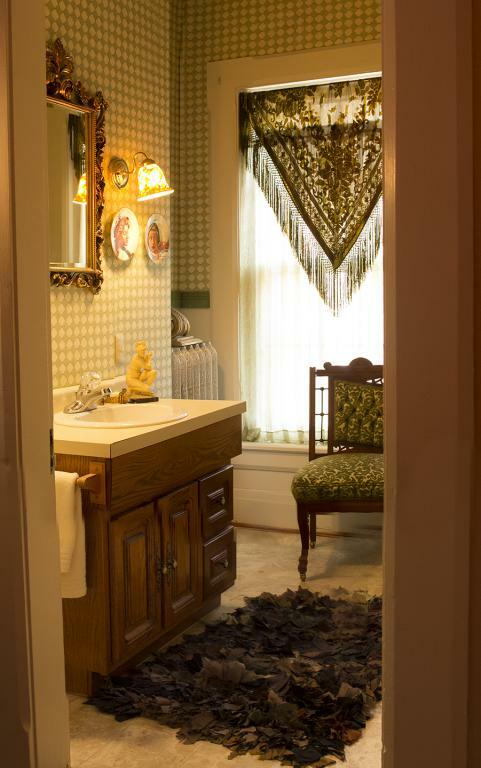 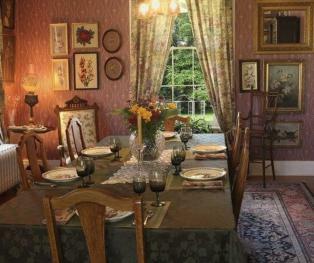 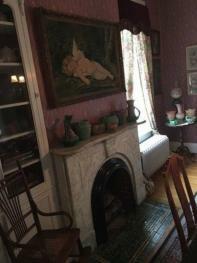 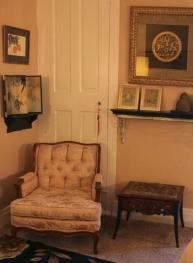 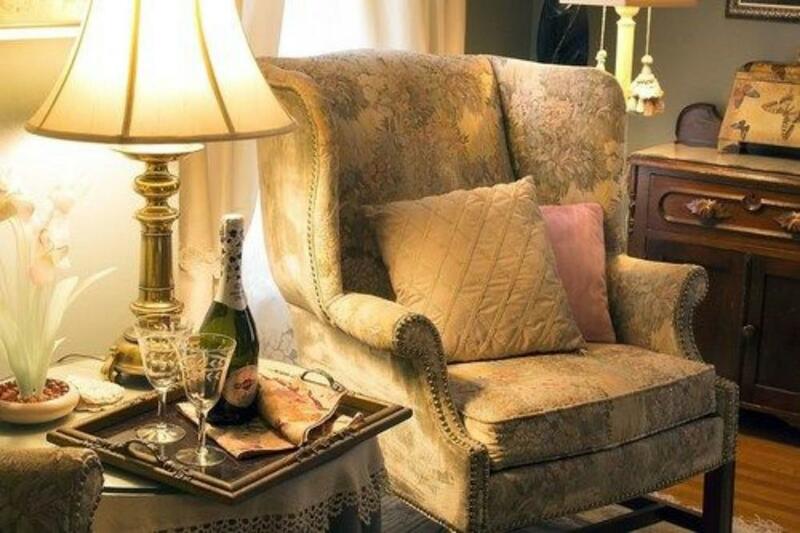 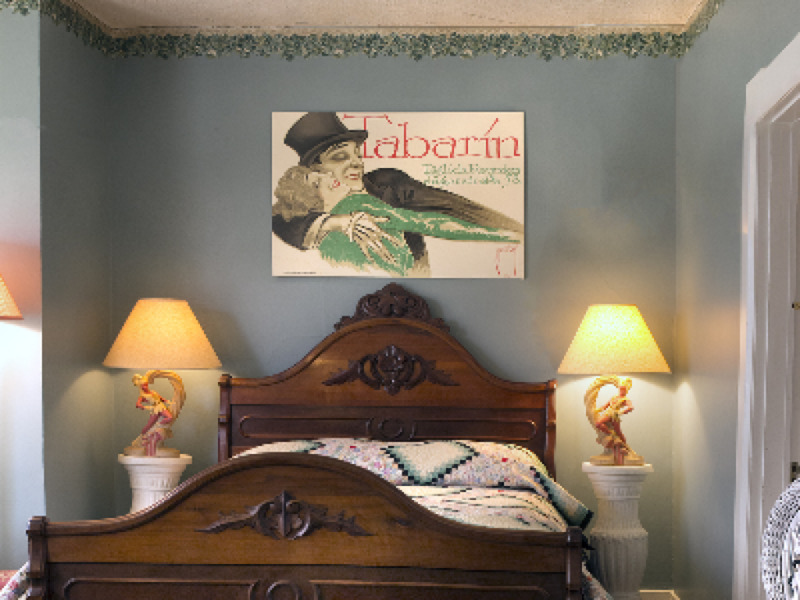 The smaller room has a queen bed and is furnished with 1860s carved walnut furniture. 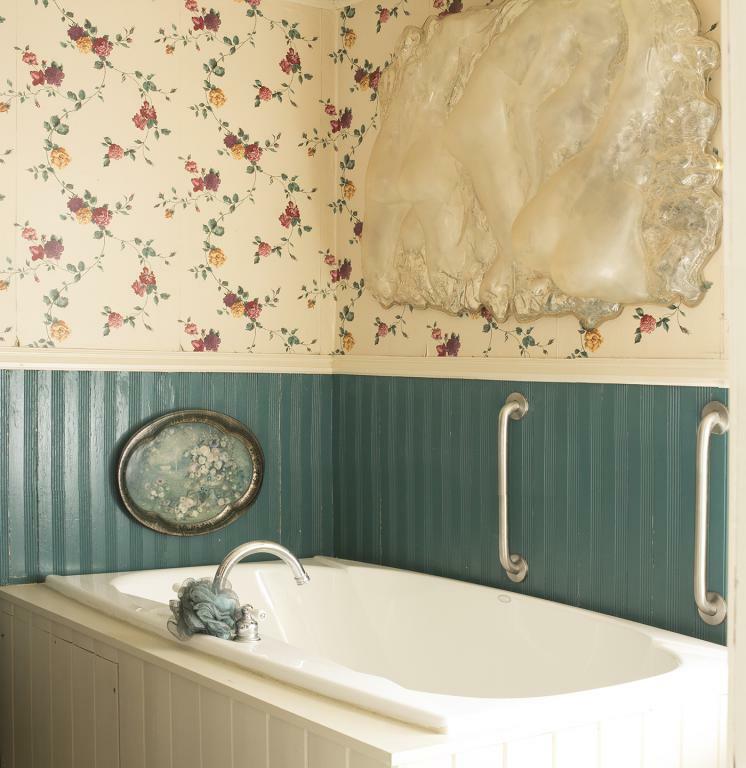 The bathroom has a double jacuzzi tub and a separate walk-in shower. Cozy terry robes are provided for your use. 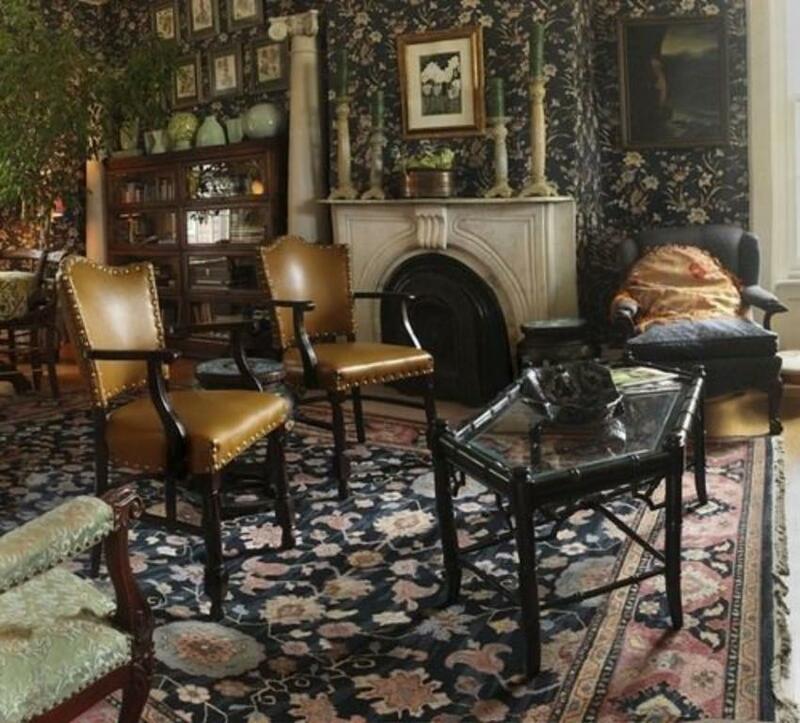 Alice's was built in 1856 by William and Lucetia Snyder. 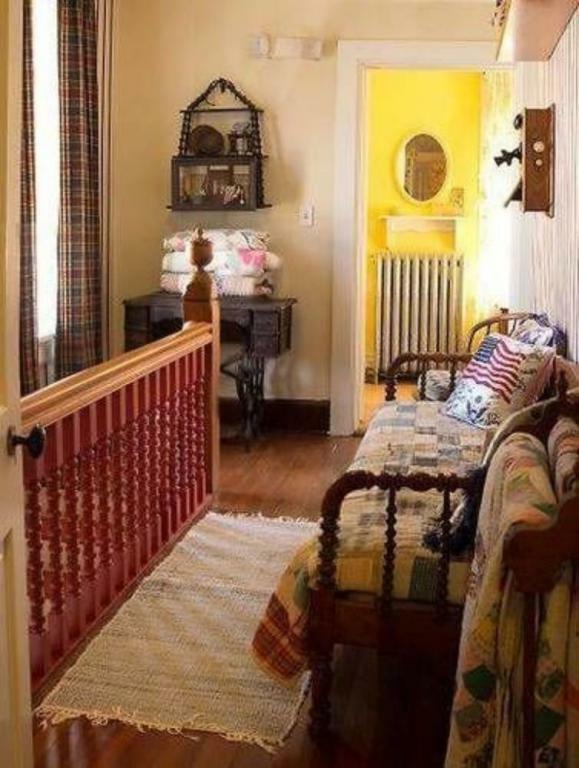 It has features from various architectural styles, while retaining much of its historic charm and serving as beautiful palette for the eclectic decor. There are three rooms available. 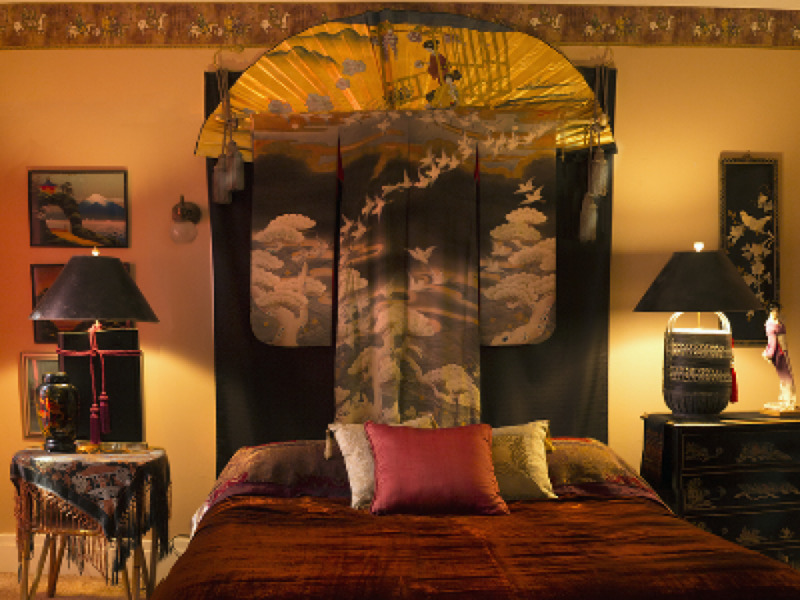 The Lucretia Suite with its traditional decor as two adjoining rooms with King and Queen beds, a sofa and two wing back armchairs. It is perfect for friends and family traveling together. The bathroom has a double jetted tub and separate walk-in shower. 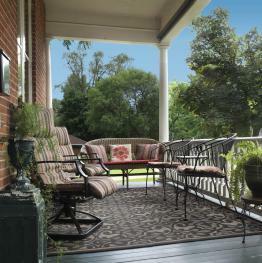 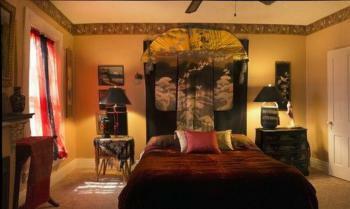 It is a favorite for romantic getaways. 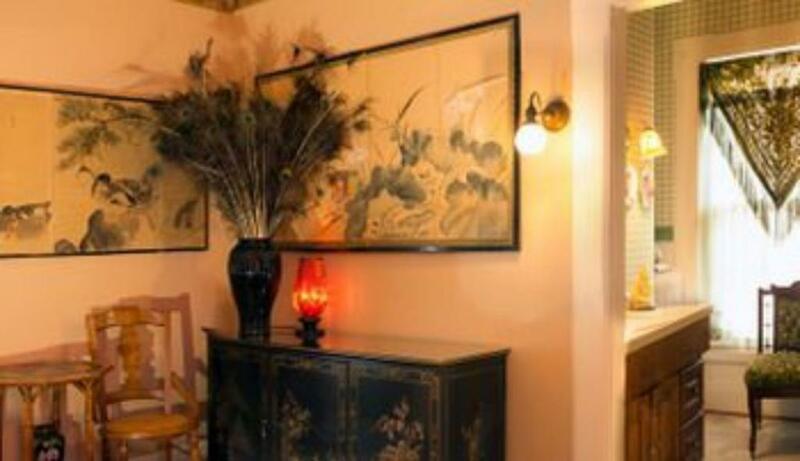 Alice's room has a queen bed and is decorated with oriental touches, a vintage kimono and black lacquered furniture. 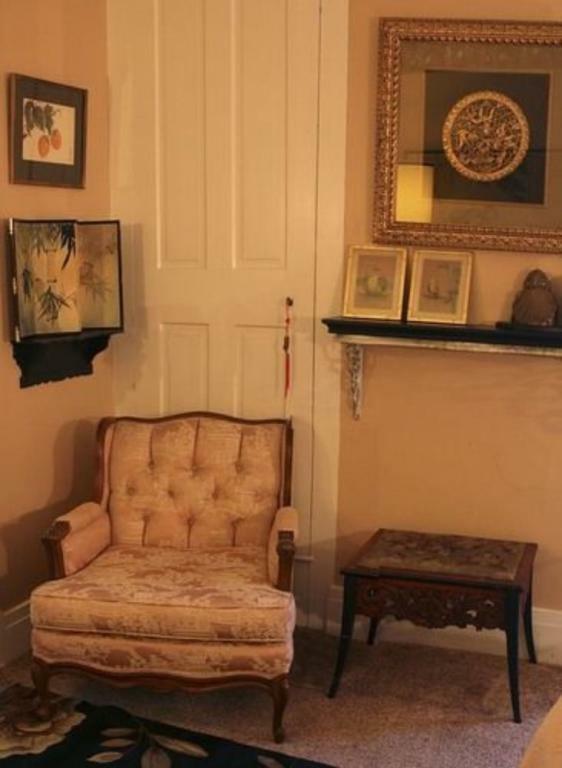 There are two comfortable arm chairs. 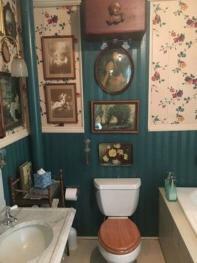 The bathroom has a large walk-in shower. 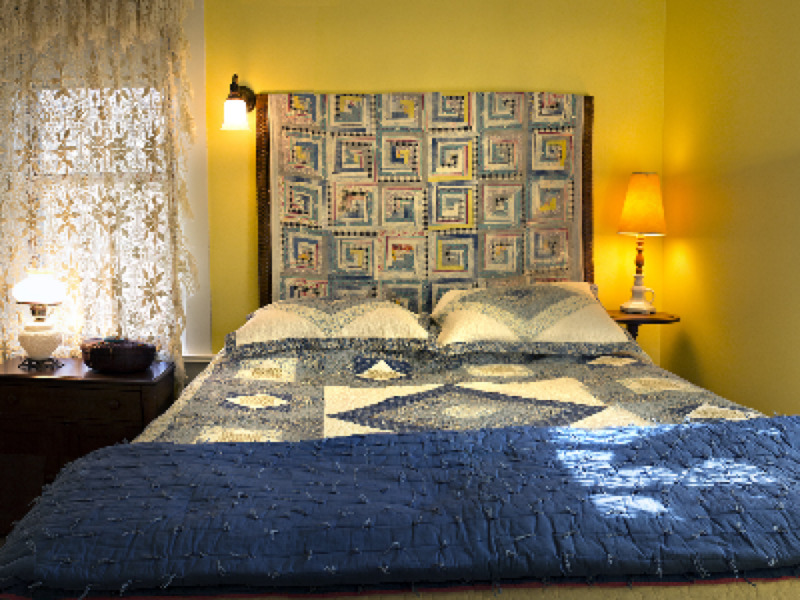 Fannie's room is a budget favorite. 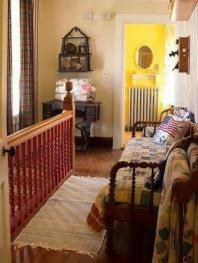 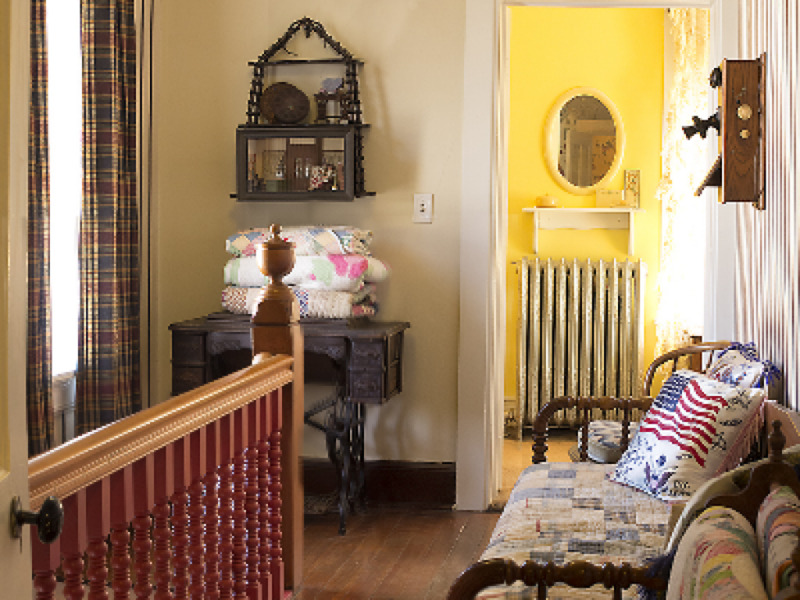 Somewhat smaller it is sunny yellow, with wicker furniture, vintage handiwork and quilts. 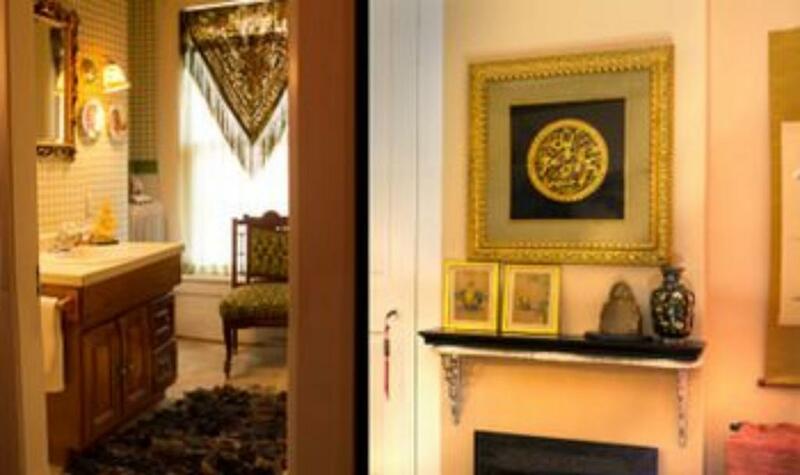 The adjoining private hallway has a spindled butler's bed/sofa for additional space. The bathroom has a walk-in shower. 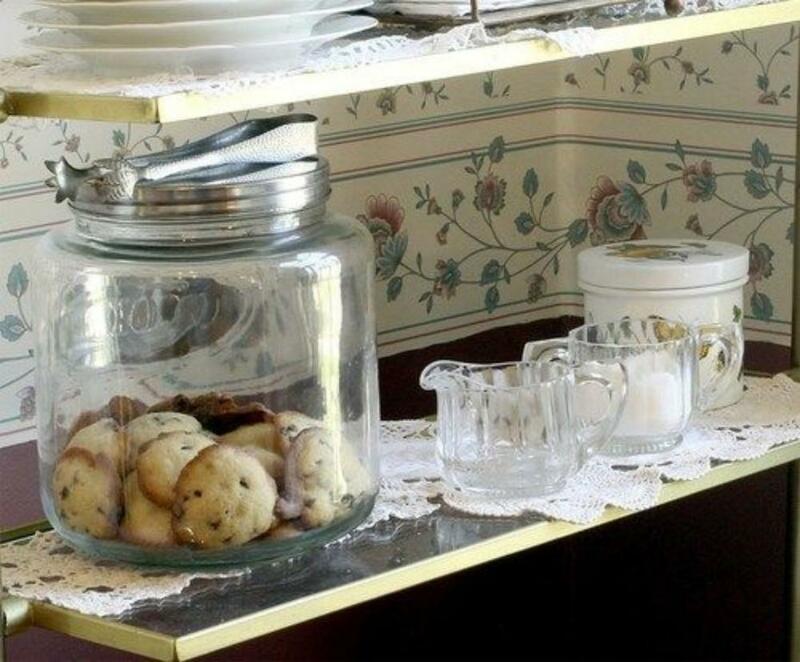 We serve a gourmet breakfast each morning at 9:00 and guest reviews have been very favorable. The meal always includes a fresh baked pastry in addition to the entree. 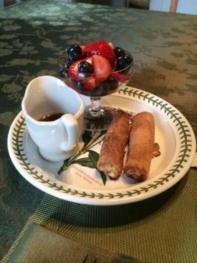 With advance notice we will gladly provide gluten-free, lactose-free, vegetarian and vegan choices. 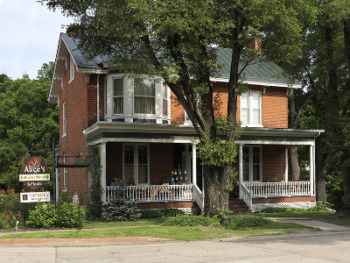 Alice's is located at the corner of Highway 20 and Third Street on the Southeast. 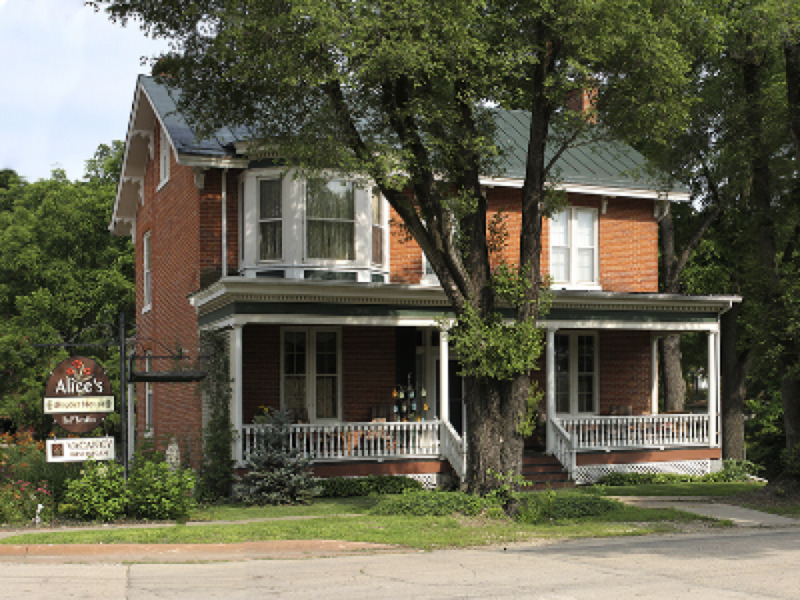 It is two blocks from the bridge that crosses the Galena River.